When you visit Memorial Stadium in Lincoln Neb. you can’t avoid a history of devotion to football and fans. 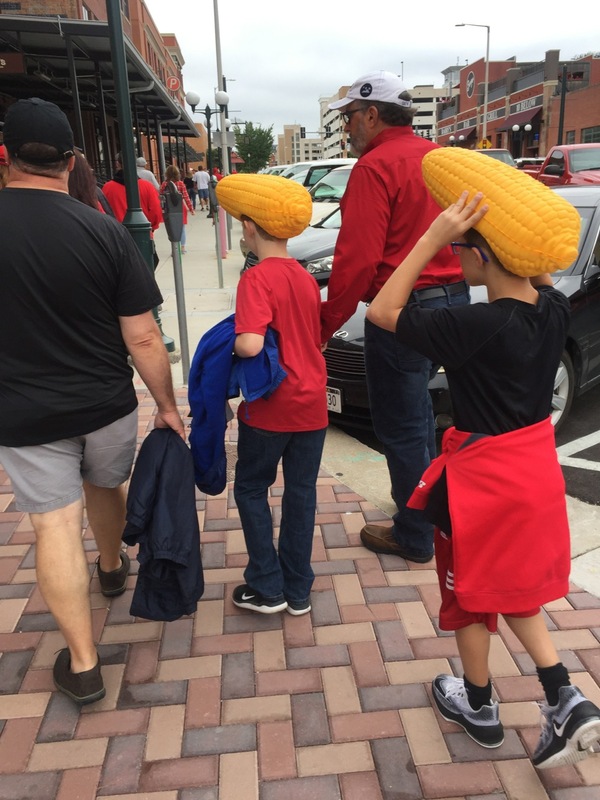 The stadium itself still contains much of its old bones dating back to its inception in 1923, and when the red-clad faithful assemble for their football ceremonies, you can see generations of fans loyal to the Cornhuskers streaming in to fill the nearly 90,000 available seats. Aside from the five national championships and many years of top-level success, the university takes care of the people responsible for sellouts dating back to the 1960s by keeping the stadium up to date with high-definition connectivity, inlcuding both cellular and Wi-Fi networks, and a wide range of digital displays for visual information and entertainment. 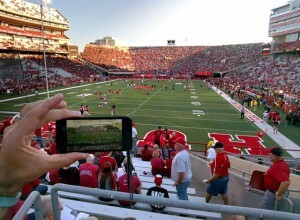 In a recent visit to Memorial Stadium for a Saturday day game, Mobile Sports Report found excellent connectivity, especially on the Wi-Fi network, even in some areas where construction materials and stadium design presented unique challenges to wireless communications. Nebraska fans have found the Wi-Fi as well, as according to statistics not released previously by the school Nebraska saw one game last season with 7.0 terabytes of Wi-Fi data used. Nebraska also saw a 6.3 TB game last season and started off 2018 with Wi-Fi totals of 6.3 TB and 6.2 TB, the first coming at a game that wasn’t even played due to massive rain and thunderstorm activity that canceled the event just after kickoff. The connectivity reach even stretches out to some of the football parking lots, where external Wi-Fi AP placements keep fans connected while they are tailgating. What follows here is an on-the-scene description of what connectivity and the fan experience looks and feels like on yet another sellout day, this one from the Sept. 8 game versus old rival Colorado. Editor’s note: This profile is from our latest STADIUM TECH REPORT, an in-depth look at successful deployments of stadium technology. Included with this report is a profile of the DAS deployment at StubHub Center, a sneak peek at Milwaukee’s new Fiserv Forum, and a profile of the new Wi-Fi network being added to Wrigley Field! DOWNLOAD YOUR FREE COPY now! Even the day before the game, there was noticable excitement in Lincoln for Nebraska football, with groups of fans roaming around outside the stadium while VIP tours were taking place inside. On game day itself, the connectivity experience starts in the parking lots, where MSR saw Wi-Fi gear on light poles and sides of buildings that was clearly there to cover the tailgating activities. Stopping to check it out we found and quickly connected to the FanXP SSID, with no splash screen or email login required, just a quick connection to fast bandwidth. Throughout the day, the FanXP network connected and reconnected no matter where we roamed, or if we turned Wi-Fi off and on (as we do to test cellular signals). With perhaps one of the most devoted fan bases in any sport — the team and the stadium have a record sellout streak dating back to 1962 — the Husker sports operation is well funded, meaning they don’t have to bother with concerns about whether or not Wi-Fi or other technologies produce any direct returns on investment. In turn, the school rewards its fans by staying at the forefront of stadium technology deployments, including being the first college stadium to install video boards, back in 1994. Wi-Fi using Cisco gear was first brought to Memorial Stadium for the 2014 season, and has since then gone through various upgrades and tunings, and now has 855 total Wi-Fi APs in the venue and the surrounding parking lots. The current video board over the north end zone (which was the largest in the country when it was first installed) now is even sharper to look at, having gone through an upgrade last year from 20 millimeter pixel density to 10mm. Last year also saw the introduction of two two-sided “wrap-around” video screens on north sides of the east and west sections, providing video viewing for fans in the north stands who previously had to turn all the way around to see a screen. The north tower screens, as well as two other similar flat screens on the south sides of the east and west stands all also have 10mm pixel sharpness. Also before last fall, ribbon boards on the east- and west-side balconies were replaced with 16mm displays that run the full length of the structures. An additional ribbon board was also added to the middle east balcony, providing even more inventory for messages, advertisements and game information. Overall, the venue has approximately 1,400 screens of various sizes and shapes to bring game day action, concessions menu and other communications to fans there for game day. 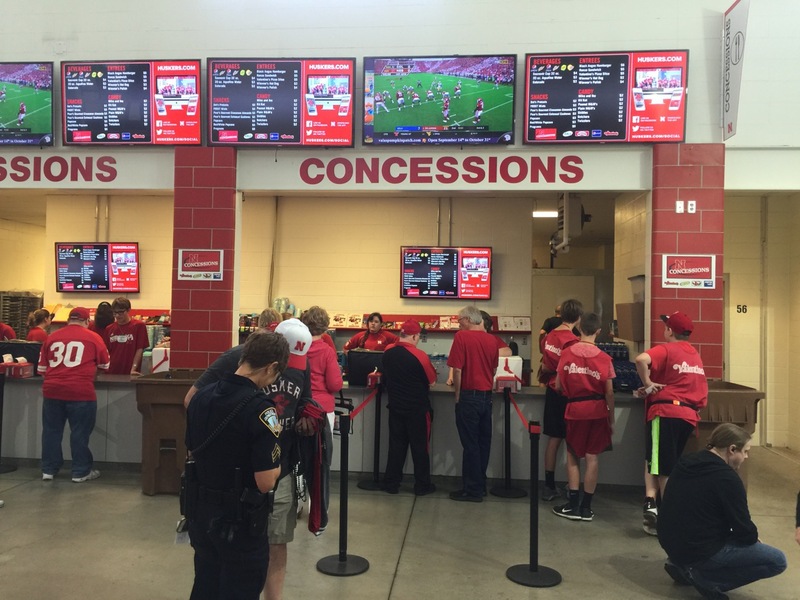 Nebraska uses Cisco’s Cisco Vision (formerly known as Stadium Vision) to manage and operate all its digital signage from one central control. 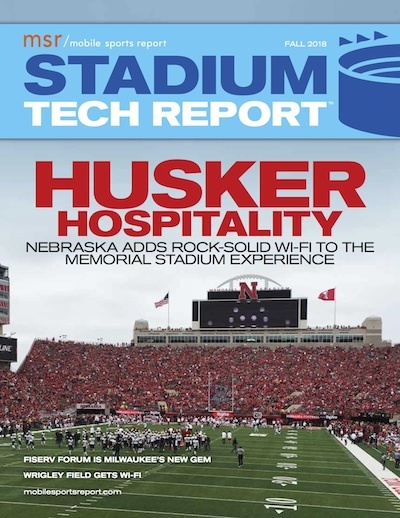 With the gates open and the stadium starting to fill up, MSR went directly to the north stands, which Nebraska IT operations manager Chad Chisea and director of information technology Dan Floyd had previously told us was the most challenging area to cover with wireless connectivity. 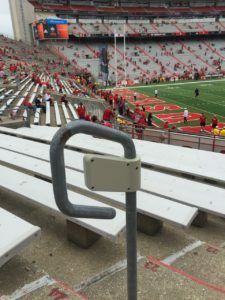 With extremely wide rows of bench seating and no overhangs for antenna placements, Nebraska brought in small Wi-Fi antenna enclosures from Ventev and mounted them onto small “p-railings” that dot the aisles. The area is also covered by Wi-Fi antenna placements on top of the scoreboard structure pointing down. Though the section wasn’t completely full when we tested it, we still got a strong Wi-Fi mark of 28.5 Mbps download and 19.8 Mbps upload about halfway up the west corner side of the north stands. In another spot on the east side we got a test mark of 28.0 Mbps / 12.2 Mbps; and in possibly the hardest place to cover, as far as we could get from an aisle or the scoreboard, we still got a Wi-Fi test of 11.0 Mbps / 13.1 Mbps. DAS coverage for Verizon 4G LTE at the same spot was 16.9 Mbps download, but just 1.40 Mbps upload. With more and more fans finding their way inside, we tested several spots on the concourses and found them with extremely strong coverage, including one mark of 63.8 Mbps / 61.1 Mbps just inside Gate 7. The concourse areas in several parts of the stadium are very architecturally interesting since there are some places where newer construction was simply placed outside the older structures, producing a kind of stadium-inside-a-stadium effect. Originally, the IT staff thought that Wi-Fi APs on the newer outside walls would be able to bleed through the old structures, which had glass windows along the old outside walls; but because those windows contain leaded glass (which shut out the Wi-Fi signals), Nebraska was forced to install APs on either side of the old walls. Such attention to detail and a clear desire to keep fans connected no matter where they roam was evident in other places as well, such as finding strong Wi-Fi connectivity (30.6 Mbps / 15.2 Mbps) even while taking escalators up to the top levels of the east stands. In the top 600-level concourse we got Wi-Fi readings of 25.5 Mbps / 11.6 Mbps, and in row 5 of section 607 — about as high as you can go at Memorial Stadium — we got a Wi-Fi reading of 18.2 Mbps / 10.6 Mbps, most likely from the antennas mounted on the top railing of the stadium or on the LED light fixtures that also poke up from the east side. Just before kickoff, we were in the middle of the lower-bowl seats on the west side of the stadium, where most fans were standing, phones ready to record the Cornhuskers as they came out of the locker room and took the field. With APs mounted on field-level railings pointing up probably providing coverage, we got a mark of 7.73 Mbps / 1.74 Mbps in the fifth row of seats. According to Floyd, only Verizon Wireless and T-Mobile use the stadium’s DAS network, which was built by Verizon. Since Verizon dominates the customer base of the Lincoln, Neb. area (Floyd estimates it has about 70 percent of the market), the other major carriers haven’t seen the need to participate in the DAS; instead, U.S. Cellular built a platform for macro antennas inside the north scoreboard area, and AT&T and Sprint use that area for similar deployments. For backhaul bandwidth for the Wi-Fi, Chisea said Nebraska has one circuit that transmits between 1.5 and 2 Gbps, along with a backup circuit that can carry 500 Mbps of traffic. And all those circuits and antennas got a free stress test during Nebraska’s first scheduled game of the season, a Sept. 1 contest against Akron that was cancelled almost immediately after kickoff when severe thunderstorms moved into the area. While the fans didn’t get to see any football, according to Floyd many stuck around for a considerable amount of time, using a full regular-game amount of wireless data — 6.3 TB of Wi-Fi — doing things like taking live Facebook Live video streams of the storm. “If you looked at the network stream that day it was absolutely full,” Floyd said. 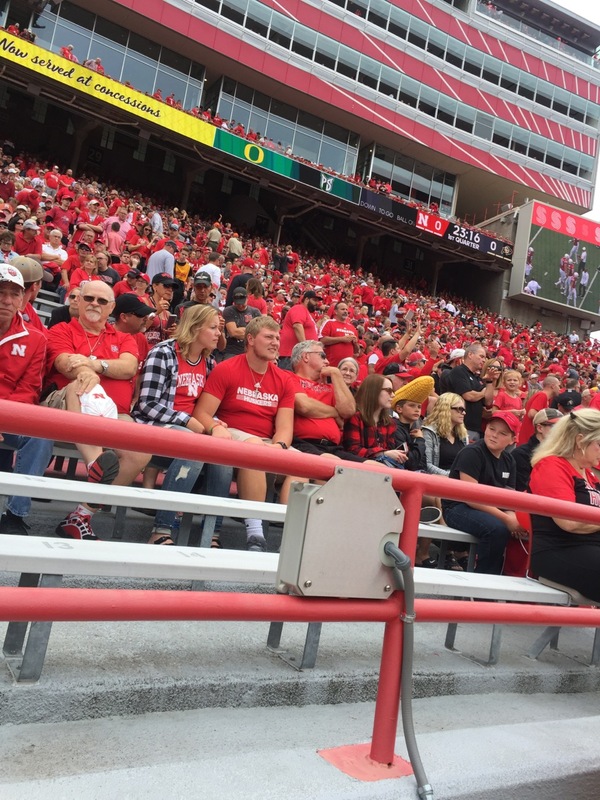 For the Colorado game (a 33-28 Colorado victory), Nebraska reported 6.2 TB of Wi-Fi data used, with 34,728 peak concurrent connections on a day with 89,853 announced attendance. The top Wi-Fi game so far for Memorial Stadium, a 7.0 TB mark recorded on Sept. 2, 2017, saw 36,892 peak concurrent connections for a game with 90,171 in attendance. Nebraska saw an average of 5.93 TB and 31,115 peak concurrent connections per game in 2017, according to statistics provided to us by the school. An Oct. 7, 2017 game against Wisconsin also saw 6.3 TB of Wi-Fi data used. 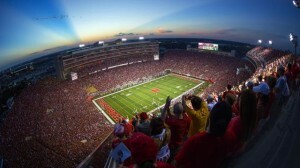 With a constant attention to detail and a devotion to good network performance (during the Colorado game, MSR saw the Nebraska IT staff identify and fix a Wi-Fi network configuration issue that briefly impacted upload speeds) the Nebraska IT staff treats its stadium networks like a coach treats a team, always looking for ways to improve. So no matter what happens on the field, the faithful fans who fill the venue every game day can rest assured that if and when they want to use their mobile devices to connect, the Memorial Stadium networks will take them wherever they want to go. More pictures from our visit below. 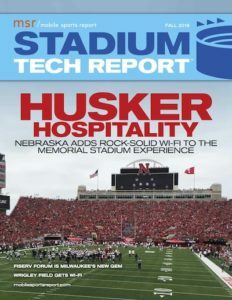 Please download your free copy of our most recent Stadium Tech Report for all our photos from our Nebraska visit! Memorial Stadium, University of Nebraska. Credit all photos: University of Nebraska. The high-density Wi-Fi network at the University of Nebraska’s Memorial Stadium saw a lot of action during the 2015 football season, racking up an average of 3.4 terabytes per game with two games going past the 4 TB mark. According to figures provided to us by Chad Chisea, IT operations manager for Nebraska athletics, an early season game against South Alabama carded 4.2 TB and a Nov. 7 matchup against Michigan State (which Nebraska won, 39-38) hit 4.1 TB of Wi-Fi usage to set the high-water marks for the seven-game home schedule. Chisea noted that both 4+ TB Wi-Fi events were during night games, an interesting stat to ponder. 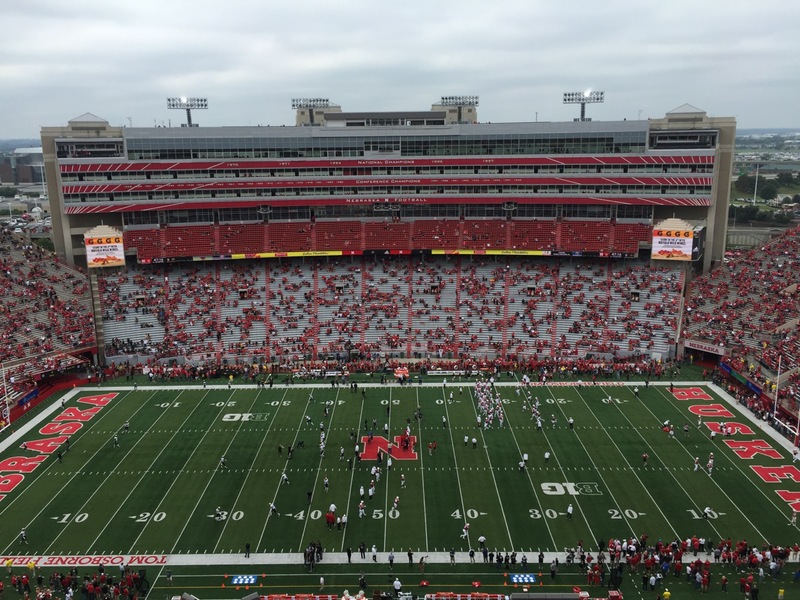 The low Wi-Fi usage mark came during the final game of the season, a 28-20 Cornhuskers loss on Nov. 27, a day that Chisea said had temperatures that stayed below freezing in Lincoln. The average number of unique devices connected per game was 31,358, an impressive “take rate” given that the average announced attendance during 2015 was 90,012 per game. The Michigan State game saw the highest single-game unique device total, 35,781, as well as the biggest number of peak concurrent connections, 29,666. For the entire seven-game season, the Nebraska network saw 219,504 unique devices connected, and it carried a total of 24.1 TB of traffic. It looks like we have an early leader in the (unofficial) college football Wi-Fi usage race, as the University of Nebraska folks are claiming that fans at Memorial Stadium in Lincoln, Neb., used 4.2 terabytes of Wi-Fi data during the Huskers’ Sept. 12 victory over South Alabama. Thanks to Chad Chisea, IT operations manager for the Huskers and Dan Floyd, Nebraska’s director of IT for athletics, we’ve got some stats and tweets to share — of the 4.2 TB, approximately 3.0 TB was downloaded data and 1.2 was uploaded, according to network stats sent to us via email. But if you look at the embedded tweet below, the numbers that really jump out at us are the 34,439 unique connected devices and the 28,290 peak connections at a single time — those are numbers that rival anything we’ve seen in NFL stadiums, and are dwarfed only by Super Bowl or college playoff championship game numbers. With 89,822 in attendance to watch Nebraska whup up on South Alabama 48-9, it’s perhaps no surprise that there are pro-type numbers being put up on the Wi-Fi scoreboard. With a top deployment from Cisco and CDW put in last year, the Memorial Stadium Wi-Fi should be on par with any other large football stadium, and so far the numbers from Nebraska look to be proof of that idea. The Huskers also seem to have a good handle on promoting the Wi-Fi network, as witnessed by the two tweets below that direct fans to the network and let them know they also have game-day help available. We’re looking forward to getting some hard stats from other top college venues — so far we’ve heard anecdotal evidence that the fiber-based network at Texas A&M’s Kyle Field is rocking, but no numbers yet — so send them our way, and let’s see how the stadium networks stack up. Right now it’s Big Red in the lead, but if DAS numbers from AT&T are any indication, there is lots more data being used this year in stadiums so let’s start adding up the scores. If there was a college football playoff for stadium wireless network deployments, which four teams would be in? 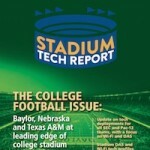 Electing myself to the committee, I think my top picks would be the same venues we’re profiling in our latest Stadium Tech Report – Baylor, Nebraska, Stanford and Texas A&M. All four are pursuing high-end networks to support a better fan experience, leading the way for what may turn out to be the largest “vertical” market in the stadium networking field – sporting venues at institutions of higher learning. To be sure, network deployments at major universities in the U.S. are still at the earliest stages — in our reporting for our latest long-form report, we found that at two of the top conferences, the SEC and the Pac-12, only four schools total (two in each conference) had fan-facing Wi-Fi, with only one more planned to come online next year. Why is the collegiate market so far behind the pro market when it comes to network deployment? There are several main reasons, but mostly it comes down to money and mindset, with a lack of either keeping schools on the sidelines. But at our “playoff” schools, it’s clear that with some ready budget and a clear perspective, college stadiums don’t need to take a back seat to anyone, pro stadiums included. 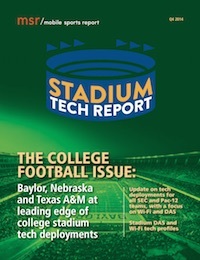 The networks, apps and infrastructure deployed for this season at Baylor’s McLane Stadium and Nebraska’s Memorial Stadium are among the tops anywhere in sports, and the all-fiber infrastructure being put in place at Texas A&M should make that school’s Kyle Field among the most-connected if all work gets completed on time for next football season. Read in-depth profiles on these schools’ deployments, along with team-by-team capsule technology descriptions and an exclusive interview with Mississippi State athletic director Scott Stricklin in our latest report, available for free download from our site. We’d like to take a second here to thank our sponsors, without whom we wouldn’t be able to offer these comprehensive reports to you free of charge. For our fourth-quarter report our sponsors include Crown Castle, SOLiD, Extreme Networks, Aruba Networks, TE Connectivity, and Corning. 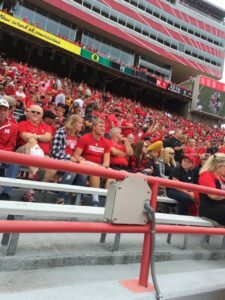 The state of Nebraska might not have a professional football team, but University of Nebraska fans now have a pro-style wireless experience at home games thanks to a high-density Wi-Fi network and IPTV features recently installed by the school at the 85,000-plus seat Memorial Stadium. 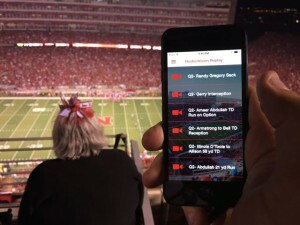 Combined with a new mobile app that delivers multiple live video streams and replay options, the loyal Cornhusker fans — who’ve come to Lincoln, Neb., and filled Memorial Stadium to the brim every game day since the 1960s — now have a wireless fan in-game experience among the best anywhere, collegiate or pro. Installed for use this season by CDW, the new network features Cisco Wi-Fi gear and Cisco’s StadiumVision and StadiumVision Mobile systems, as well as a new app developed by NeuLion and additional video-streaming capabilities from EVS. “We have the most loyal fans in the country,” said Kelly Mosier, director of digital communications for the University of Nebraska athletic department. Part of putting in a high-definition wireless network, Mosier said, was to meet growing fan connectivity needs and to “stay ahead of the curve” in stadium experiences. “We wanted to reward the fans for being so loyal, and give them a new experience to brag about,” Mosier said. 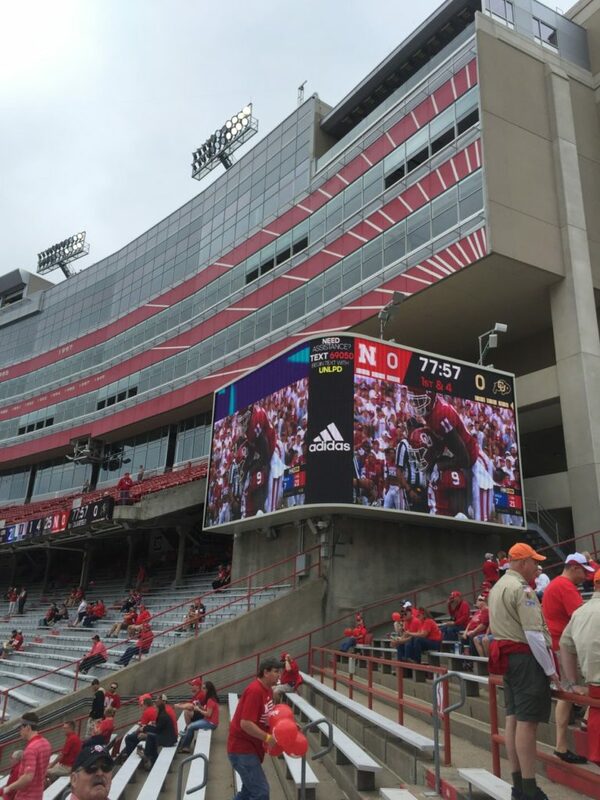 One of the first collegiate programs to install big TV screens in its stadium, Nebraska now has a Wi-Fi network with more than 800 access points, both inside Memorial’s seating bowl as well as outside, at entrance and parking areas. In addition to synchronized IPTV broadcasts on stadium flat-panel screens, Nebraska fans also have access to a wide range of live video and video replays of game-day action, thanks to the new game-day app. According to Dan Floyd, director of information technology for Nebraska athletics, the new network is already a hit, with a peak of 25,000 simultaneous users during the second game this fall. And even though Floyd and Mosier are aware of some problem areas, as Floyd said there has already been “a lot of positive feedback” from the technology upgrades. The network deployment was part of a recent $12.3 million upgrade to the football facility, which has been the home of the Huskers since 1923. Included in the total spend was also a revamp of the public-address and sound systems, but according to Mosier “the biggest chunk” of the spending went to cover the Wi-Fi deployment. The need for better connectivity became apparent a few years back, Mosier said, and it set in motion a “very long process” of a couple years in length in which Nebraska officials looked at other existing stadium deployments and technology choices before making their decisions. One of the easier picks was selecting Cisco as the main Wi-Fi gear supplier, since Mosier said that most of the rest of the school’s campus was already wired with Cisco networking gear. And a recent deployment of Cisco stadium Wi-Fi at Pinnacle Bank Arena in downtown Lincoln, Neb., where the Husker basketball team plays, helped further push the football decision toward using Cisco. Also in Cisco’s favor was its StadiumVision digital display system and its StadiumVision Mobile product, which both bring advanced IPTV features to static stadium screens as well as to mobile apps. StadiumVision allows for synchronization of programming across a wide array of networked displays, while StadiumVision Mobile supports several live broadcast channels that can be used to provide live content to mobile apps. The Brooklyn Nets use StadiumVision Mobile to bring live action channels to fans who visit the Barclays Center for games. 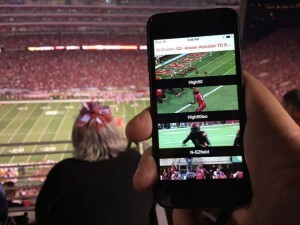 On the Huskers’ game day app, Mosier said, fans at the start of the season could choose between three StadiumVision Mobile-powered “channels” that showed the big-screen broadcast, an alternate angle view, and an “all-22” camera that is like what coaches view to see the players across the entire field. A “phase II” of the app live video, which had not yet launched at the time of our interview, will include further user-controlled selections for more camera angles and replays. According to Mosier, the Phase II capabilities are supported by the C-Cast system from EVS. The entire new app, he said, was built by developer NeuLion. Though Mosier said the live video production for the app was “definitely a growing process” that will require further tuning and learning, he said the system already has impressive performance, with delays between live action and app action at “a second to a second and a half.” Mosier said that Nebraska also plans to bring more live action to the mobile app for basketball season, with multiple camera angles including a “slam cam” based near the rims. 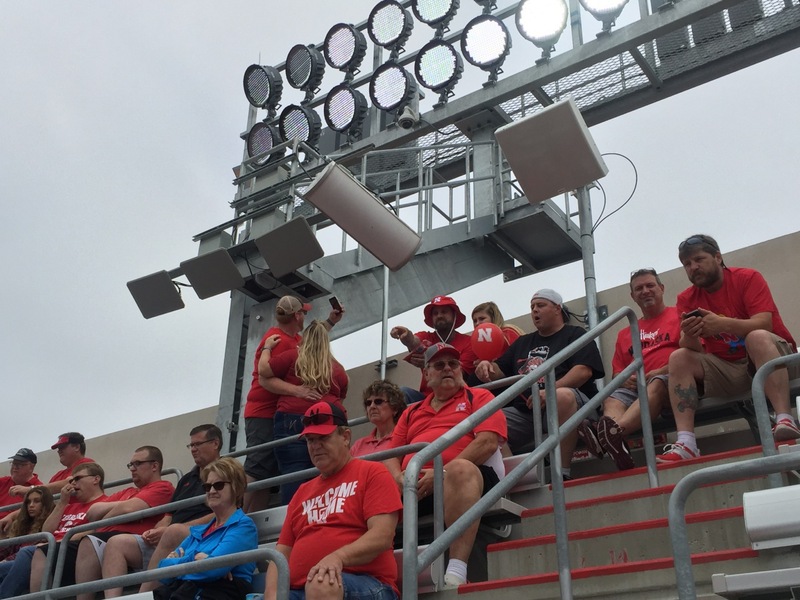 While the 800 Wi-Fi APs give Nebraska pretty good coverage throughout the facility, Floyd said the IT team knew it would have connectivity challenges in the north and south end zone stands, since neither of those sides have any structural overhangs. “Since the north and south sides [of the stadium] don’t have overhangs we knew they would be problematic,” Floyd said. One option used in venues including AT&T Park and Levi’s Stadium, the under-the-seat access point, wasn’t an option at Memorial Stadium, Floyd said, because the seats there aren’t high enough to meet safety requirements for keeping bodies away from the antennas. 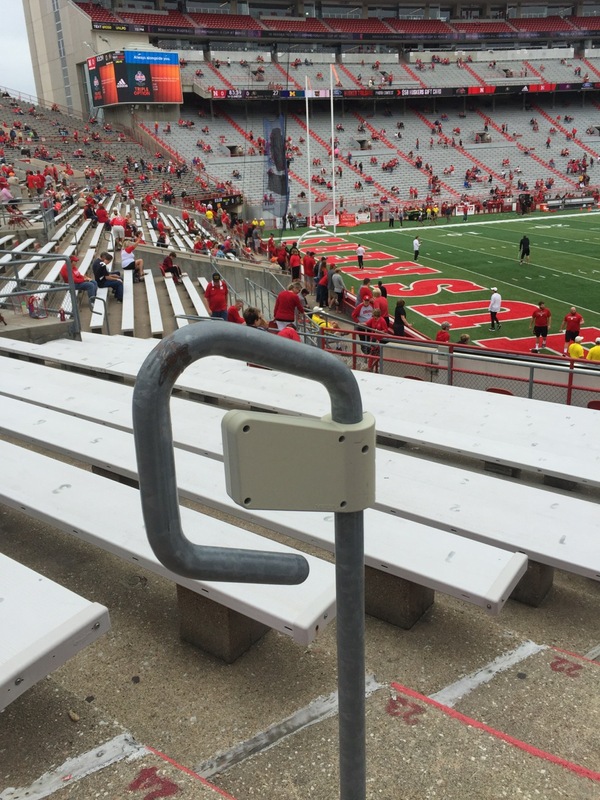 One creative way CDW and Nebraska brought Wi-Fi to the north and south stands is via Wi-Fi antennas inside railing enclosures, but those are not without their own challenges. Though the railing antennas get a signal close to fans, the long rows of seats at Memorial Stadium — up to 30 in between rows — means that the “waterbags,” or human bodies, can act as signal-blockers for fans in the middle of the rows. “The first 10 or 12 people on either side get a pretty good signal,” said Floyd, but he added that the fans in the middle are still a challenge to reach. Both Mosier and Floyd said Nebraska will continue to seek ways to upgrade the Wi-Fi network, including possibly putting APs on top of towers or in other creative deployments. According to Floyd, Memorial Stadium has had a Verizon DAS in place for several years, which fulfilled most of the fans’ basic cellular connectivity needs since he said that “70 to 75 percent” of Cornhusker fans were Verizon customers. However, the new sound system, with its big speaker arrays, has also given room for AT&T and U.S. Cellular to add some DAS equipment of their own, with antennas mounted right inside the speaker enclosures. 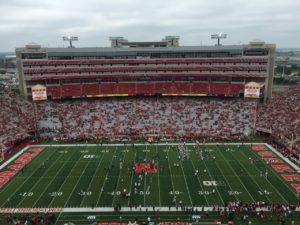 Unlike other schools or teams, the Cornhuskers are not pressed to make money off their wireless network, given the stadium sellout streak that dates back to Nov. 3, 1962. But Mosier said that even the Huskers aren’t immune to the lure of the living room couch, with its comfort, HD screen and close-by food and drink.